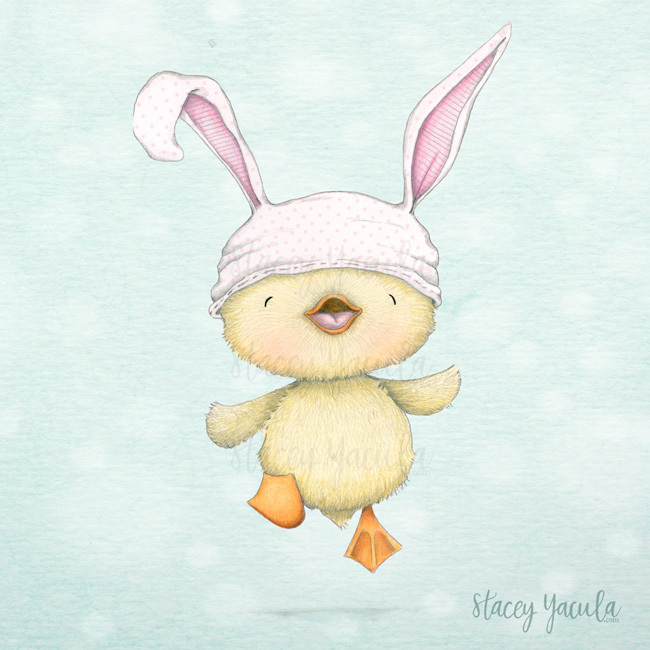 stacey yacula studio: happy easter! i hope it does the same for all of you. a special wish to one of my "ducklings"
who can't be home for Easter this year! Beautiful and I hope you have a wonderful joyful Easter as well love this little chickie makes me think of my grandkids hate to say it but running around with my granddaughters tights on their heads and pretending they are ears. Happy Easter Stacey! This image makes me so happy! I'd love to get this one in a rubber stamp. So, so cute—beyond cute! Have a Happy Easter, Stacey! Hahahahaha! What a fun and quirky mind you have! Ears on a chick just tickle me. Thanks for sending this cutie along. Hope you had a great Easter. Thank you all for your sweet Easter Wishes! I am so glad this little chick brought joy to so many!